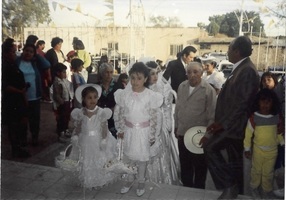 Provide comfort for the family of Evangelina Favela with a meaningful gesture of sympathy. 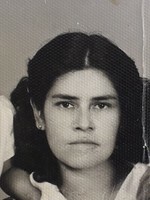 Visitation for Evangelina Favela of Davis Juction will be held Monday, April 8, 2019 3:00 - 9:00p.m. at the Countryside Funeral Home and Crematory 950 South Bartlett Rd. (at Stearns Rd.) Bartlett. Service 5:00p.m. Interment Mexico. 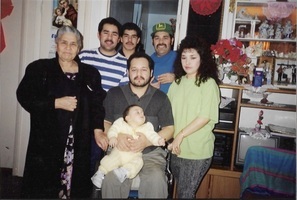 She is the beloved mother of Miguel Ángel Monarrez, Ema Raquel Monarrez, German Monarrez, Juventino Monarrez, Jose Concepcion Monarrez, Jorge Luis Monarrez, Jose Dolores Monarrez, Efren Monarrez JR, Antonio Monarrez , Manuel Monarrez, Sonia Monarrez, Francisco Javier Monarrez, Noe Monarrez. (630) 289-7575. We encourage you to share your most beloved memories of Evangelina here, so that the family and other loved ones can always see it. You can upload cherished photographs, or share your favorite stories, and can even comment on those shared by others.